Where Breeding is an Art! The Cria that Fell in a Well!! 3/4 Accoyo - Champion Producer! YUMM Kiernan x Luciano daughter! TOP 1% EPDS AFD SF %30 MC SDMC !!! Vic Jr's Accoyo Forget Me Not & Manchu SON! 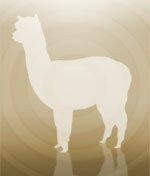 SELLS WITH DB FEMALE CRIA! Deep Color Genetics including Black!! FIRST Chaska Son for sale! Dripping black luster! BRED to BLACK!! Full Accoyo - Throws Black! TOP 1% EPDS for Fleece Weight! RANK 4 out of 3394 Fleece Weight! 3/4 Accoyo - Runway model! Accoyo Inca x Accoyo Armani!! Full Peruvian! Bred to Grey!! Due SOON!! GVA Aurelia & FAWN Female CRIA! Fawn female cria at side! 1/2 Accoyo - INCA DAUGHTER!! Can sell with bred mother at side! Black Sire, Black Dam! Black Genetics! Full Accoyo Female Cria at SIDE! 1st show - Color Champion! Accoyo Aureluis daughter! Purcara too!